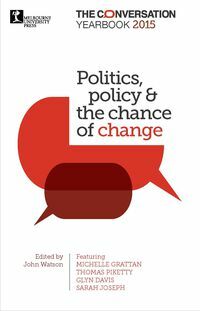 MUP political authors gave comment on the current political situation. 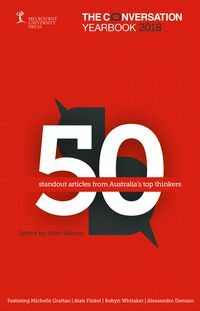 We have a rich pool of political experts among our MUP authors; here's what they say on division, deficit of trust and democracy in Canberra. ‘There has never been a more exciting time to be alive than today and there has never been a more exciting time to be an Australian’, Malcolm Turnbull proclaimed upon becoming prime minister in September 2015. 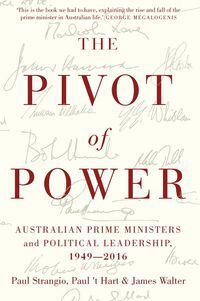 “In times of crisis or deep disillusion, there is typically a call for strong leadership—and Australians have registered just such a plaint in polls published at the time of writing,” write the authors of The Pivot of Power, examining Australian prime ministers and political leadership. 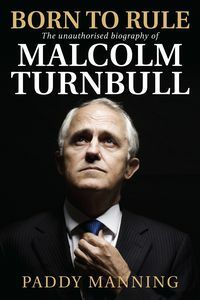 It was only a year ago those authors wrote that there were signs that the public was losing faith and trust in Turnbull as prime minister. As they said, "recent history suggests that, poorly directed, this “prime-ministerial machine” can go seriously awry, thereby exacerbating difficulties. But this factor is again insufficient to account for why national leadership has become so confounding." Turnbull’s father told him “never give in to a bully” and it is advice young Malcolm heeded at primary school, when he stood up to a bunch of older, bigger boys and got bashed for his trouble. As Prime Minister, however, Turnbull has allowed himself to be bullied again and again. Every inch he gave, they have taken a mile, and soon there will be no limits whatsoever: a Prime Minister Dutton installed by Abbott and his backers could announce Australia’s withdrawal from the Paris Agreement overnight, for example, dealing a significant blow to global efforts to tackle climate, or ape Donald Trump’s elimination of government climate policy and science. Why not Eric Abetz for science and environment minister, or Abbott himself? It is too late for the Prime Minister to take a stand: anything he says or does will be seen as a cynical, last-ditch effort, and only galvanise his opponents. It is not that Turnbull lacked the courage of his convictions on climate; it is that in the end he showed he had no conviction at all. In On Disruption, Katharine Murphy says the disruption of the media cycle from daily to 24-hours a day has had a profound impact on society. Audiences can choose to only consume media that gives them a set of facts and opinions they agree with. There is no way to know if the disruption will settle into a new normal. So is chaos is the new normal? As well as the constant disruption to routine political deliberation, political conflict also appears to have entered a new phase. Read the entire extract over at The Guardian. 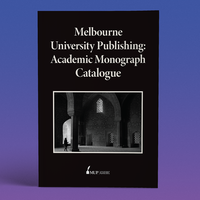 The Knowledge Solution: Politics is the first collection in a series that draws from the remarkable books published by Australia’s oldest university press. 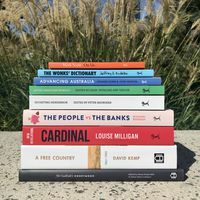 Featuring thinkers from across the political and ideological spectrum, their arguments about the state of Australian democracy are distilled in these extracts and essays. 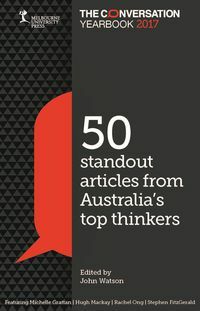 In an extract from The Knowledge Solution: Politics, Michelle Grattan considers the paradox of our modern democracy. 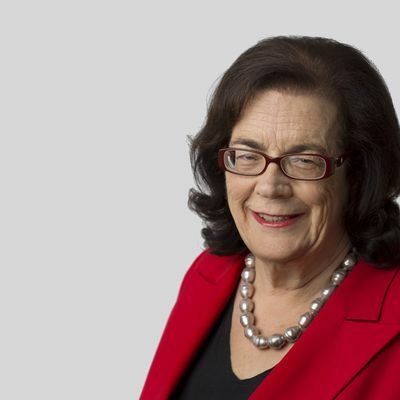 Grattan writes that the “modern 24-hour news cycle both enables and fosters the permanent campaign, providing platform and spur” (echoing Katharine Murphy's sentiments in her newest On Disruption). Read the entire extract over at The Conversation AU. 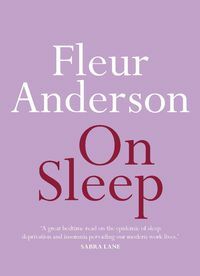 Fleur Anderson, author of On Sleep, sees the effects of a lack of sleep in parliament as affecting our leaders' cognitive wellbeing. No one in this week of political madness paused to consider that at least one of its architects was out of his mind with sleep deprivation. Why should we care about the sleeping habits of our elected representatives and those who work with them? We need those looking after the running of the country to be at their best, just as we’d expect a pilot or a doctor to be at the peak of their ability, and sleep is integral to our psychological and cognitive wellbeing. Parliament is the most visible and exaggerated example of how our society is changing. It illustrates the blurring of our daytime public hours into night. In a democracy, parliament is our society’s last line of defence, safeguarding our well-being, our pursuit of happiness. Yet, we’ve become a society of the chronically overtired. So tired, we don’t realise we’re mentally impaired. So tired that we don’t recognise risky decisions. So tired that we don’t notice unethical behaviour in others or ourselves. So exhausted that we don’t even realise there’s a moral question in front of us. 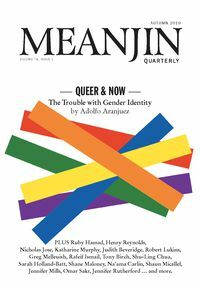 Meanjin publishes some of the sharpest - and most current - political commentary from Australian writers. 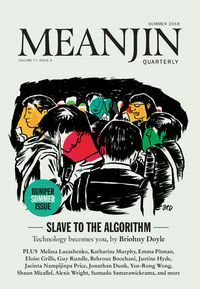 In 'Senator, you are a traitor to the real Australia,' Tim Dunlop unpacks Senator Fraser Anning's parliamentary speech on immigration, bringing an important historical context into the debate. Clive Hamilton discusses the impact of Tony Abbott's leadership and its repercussions for #auspol in 'How Tony Abbott Destroyed the Liberal Party.' 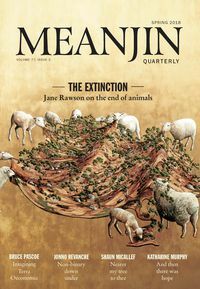 With tensions running high in US politics, Sarah-Jane Collins draws a striking comparison between the state of Australian politics with the current US administration. 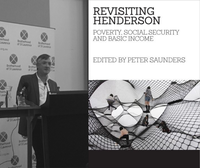 Read Collins' articles 'Hyper-Partisan, Violent and Opportunistic: This is 2018, but It Doesn't Have to Be'. 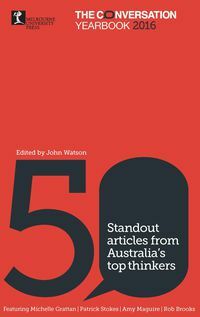 Each year, we publish 50 stand-out articles by media website The Conversation, edited by its Cities + Policy Editor, John Watson. According to The Conversation editor, Misha Ketchell, at a time when it’s hard to know who to trust, The Conversation aims to provide “crisp clear writing from people who know what they’re talking about and don’t have a barrow to push”. In a time of heightened hostility towards experts, academics and scientists, the Yearbook presents evidence-based news, minus the spin.